Best Protection for Gearbox and Differential! Improved Performance for transmission and hypoid oils. In the powertrain from the engine to the wheels the transmission is one of the most important components. The respectively chosen transmission level is responsible for the engine power to arrive at the driving axle or wheels in exactly the same way. If the transmission does not work perfectly work, it can be the largest energy consumer in the powertrain which leads to an increased fuel consumption. In case of a transmission not being optimally lubricated or if there are too many deposits due to wear and abrasion, the gear requires unnecessary energy in order to perform the single gear changes. The result is less power at the driving axle. 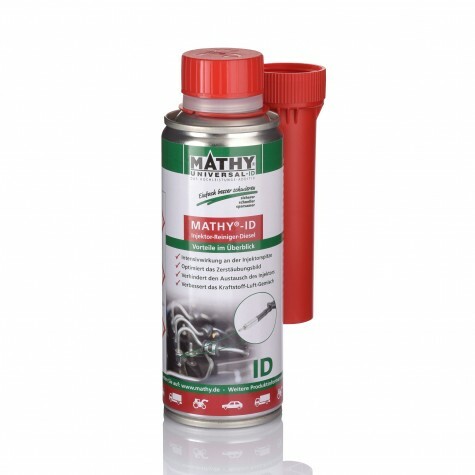 With our additives MATHY-T for gearbox and differential, MATHY-TA for automatic transmission, and MATHY-DSG for direct shift gearbox, you can ensure perfect gear shifting which is necessary trouble-free use of the transmission. All three products ensure an improved lubrication and thus an easier gear shifting. Unnecessary abrasion and wear are prevented and the service life of the gearbox is extended. Why should you use additives in transmissions and differentials? Gear wheels and transmission bearings are exposed to permanent wear due to heavy loads. Conventional gearbox oil cannot ensure sufficient protection over longer periods and lose their lubricating performance. MATHY gearbox oil additives offset this depletion, improve, and optimize lubricity in the long run. Due to additional reduction of the frictional resistance the entire energy is losslessly transferred to the driving axles. How do MATHY Gearbox oil additives work? 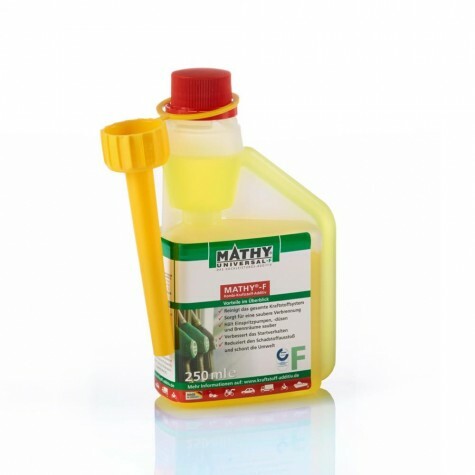 MATHY gearbox oil additives form a strong hydrocarbon-based compound with the engine oil. This compound exists until the next oil change. Margins between the tooth flanks are balanced out by the increased compressive strength of the gear oil. This acts as an additional buffer and sustainably reduces wear. How are MATHY gearbox oil additives used? Add MATHY gearbox oil to the new oil after an oil change. 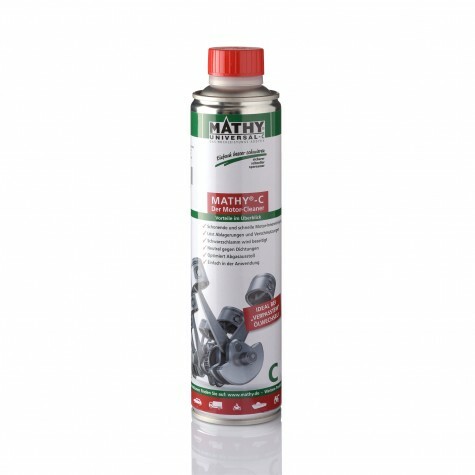 Replace at least 10% of the gearbox oil by MATHY gearbox oil additive in order to reduce wear. If shifting problems and / or running noises exist, up to 50% of the gearbox oil may be replaced by the additive. Can MATHY gearbox oil additives be used in all oils? MATHY gearbox oil additives are based on hydrocarbons and can, due to continuous refinement, be used with all customary gearbox, hypoid, and double clutch oils. Are MATHY gearbox oil additives able to clean manual and automatic gearboxes? 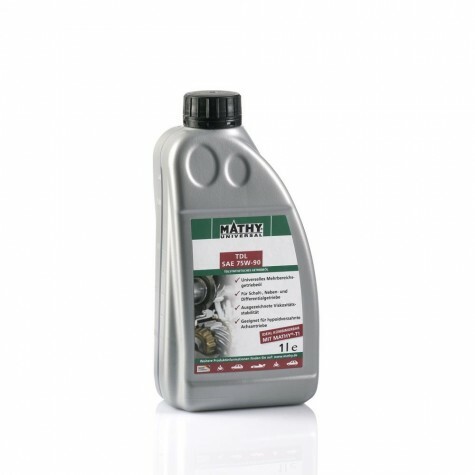 MATHY gearbox oil additives possess a high cleansing effect. For a milage of more than 100,000 km, MATHY additives can also be used as cleaners. For this purpose, drain 10% of the old gearbox oil and replace it with MATHY gearbox oil additive. Then drive the vehicle for at least 1,000 km. This so-called cleansing phase dissolves the impurities and resinifications in the gearbox. After the following oil change the gearbox is clean and can be refilled with fresh oil and MATHY gearbox oil additives. How to fix a noisy rear axle? By adding 50% MATHY-T gearbox oil additive to the rear axle oil, rear axle noise, due to wear, can sustainably be reduced. Thus, an expensive repair can be prevented. In what types of gearboxes can MATHY gearbox oil additives be used? MATHY gearbox oil additives can be used in manual gearboxes, automatic gearboxes, double-clutch / direct shift gearboxes (DSG), differentials (rear axles), and semiautomatic gearboxes. The use of our gearbox oil additives can diminish technical problems, minimize running noises, and prevent expensive repairs. Our products have been tested for efficiency and certified by TÜV since 1994. 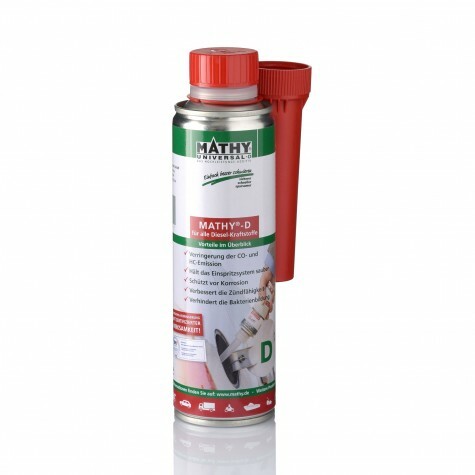 MATHY-TA is an oil additive for ATF oils in cars and commercial vehicles (oils of SAE ratings 0 to 50). It can be used in automatic gearboxes and, if applicable, in power steerings (like ATF 1-3, Dexron or Mercon). The automatic gearbox is protected from deposits and the hydraulic and mechanical processes within the gearbox are optimized. MATHY-TA is free of solid substances and does not cause deposits. Adding MATHY-DSGimproves the lubricity of gearbox oils and optimizes gear changes. Thermal stress in warmer parts of the gearbox is reduced and the stability of the DSG oil is increased. Existing noise in the gearbox is minimized by MATHY-DSG and further wear is stopped. Cleaning components sustainably protect the DSG gearbox, remove and prevent impurities. 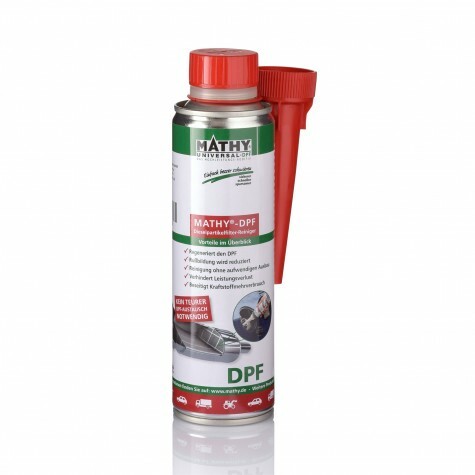 MATHY-ATF is a highly active cleaner which removes deposits and residues in the automatic transmission. Optimum gear changing is restored and guaranteed. The service life of the automatic gearbox is extended.